I might have told you once or twice about my interest in trams and my involvement in the tramway museum in Malmköping. 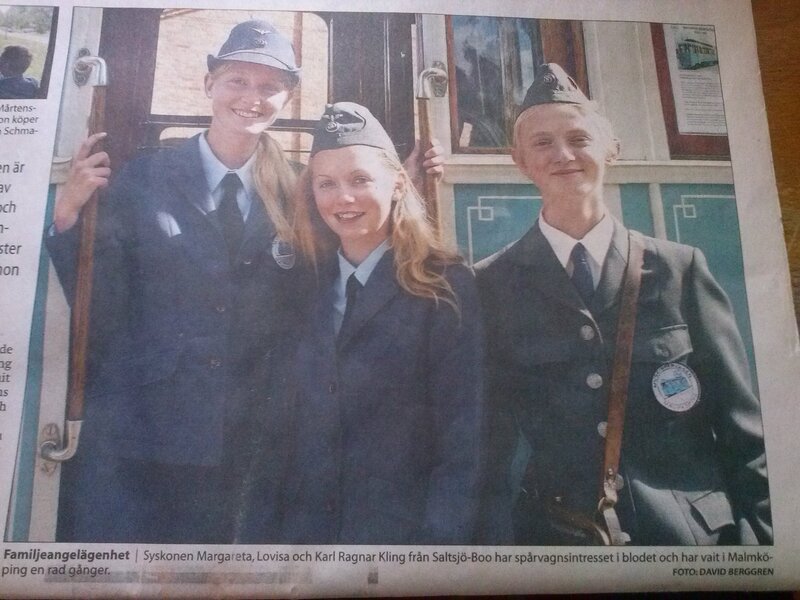 Anyway, this weekend I visited Malmköping since we had our annual junior camp-reunion. We had a blast! Around 55 people were active during these two days, since Saturday was a day with extra activities to celebrate the annual Day of Trams. 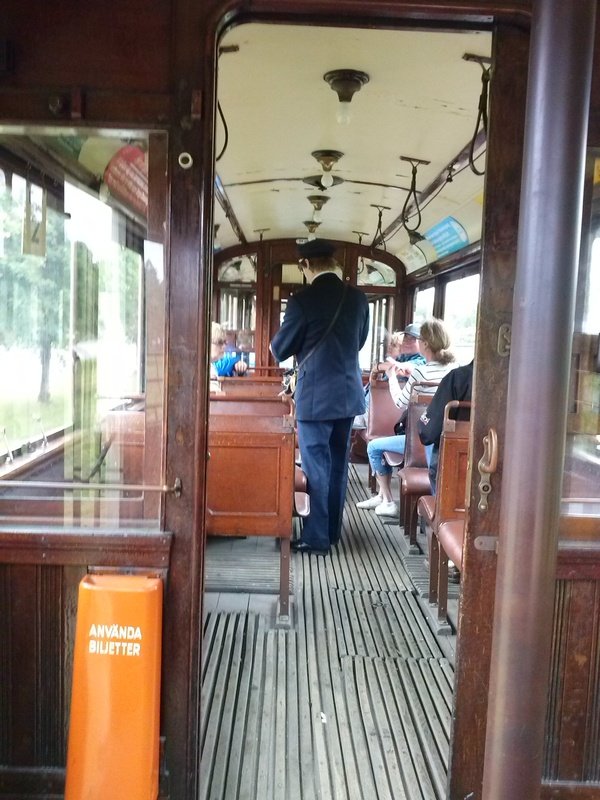 Not only did we offer tours with the trams, we also had two veteran buses that was driving people around Malmköping. Everyone helped with what there skills could offer. Most of the children from the junior camp, where I am a leader, sold tickets on board and guided our guests. I do that too, but I am also responsible for the security on the trams. Then we have of course the people driving the trams and buses, technicians fixing old trams and people cooking food for us. We are like a big family and everyone feel welcome. We do not only work all day long, we also have a lot of fun. By looking at the picture to the left, showing my boyfriend, may give you a hint of all the crazy stuff that happens. I can’t say that I am a huge fan of trams, but I enjoy being in Malmköping and working with trams. Each day I learn something new and my interest is growing. 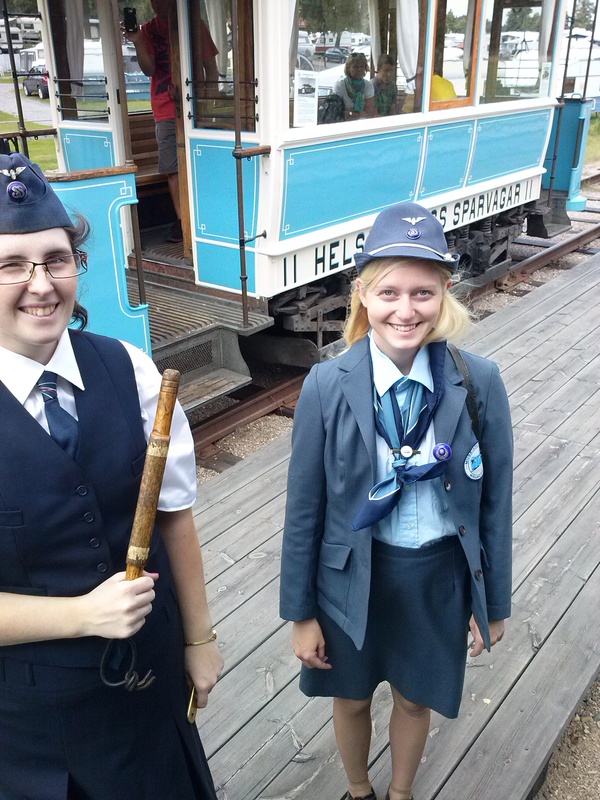 It is no common for girls, especially young girls, to have a hobby that includes trams. 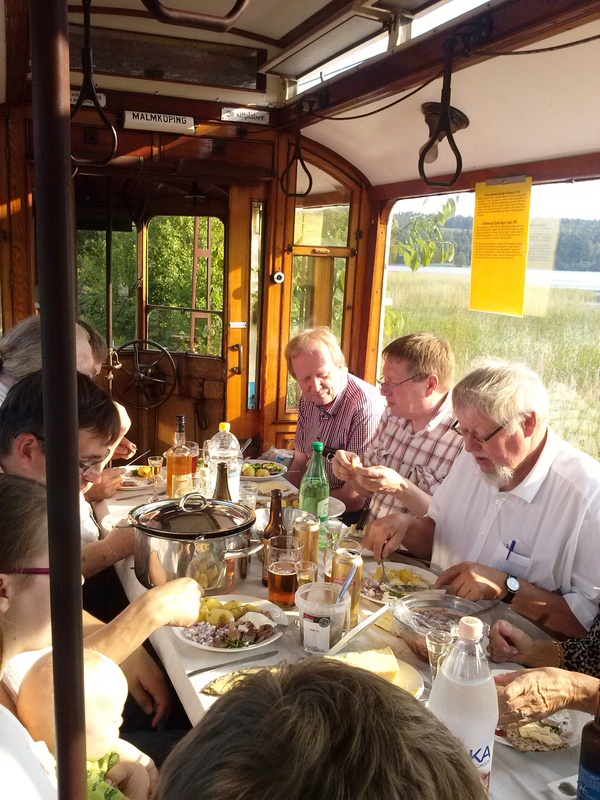 The most common member of the Swedish tramway society is typical a man 60+. So we can need as many young people we can find. Therefor is the junior camp so important and I have been a part of them since I was 12 years old. And now I see Malmköping as a second home almost. It is not at all weird that Malmköping feels like home since often whole families are active. My sister and brother are for example also active. Malmköping is beautiful in the summer. 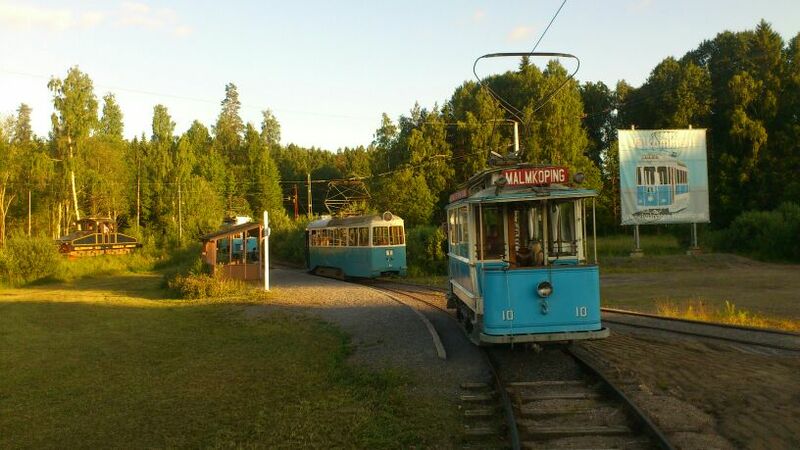 At midsummer we take a tram out on the track and then we eat herring and strawberries. My boyfriend is selling tickets to visitors. During the camp we organize fun games that involve trams. It is truly a family activity. My and my siblings in 2010. Weddings can be arranged to. 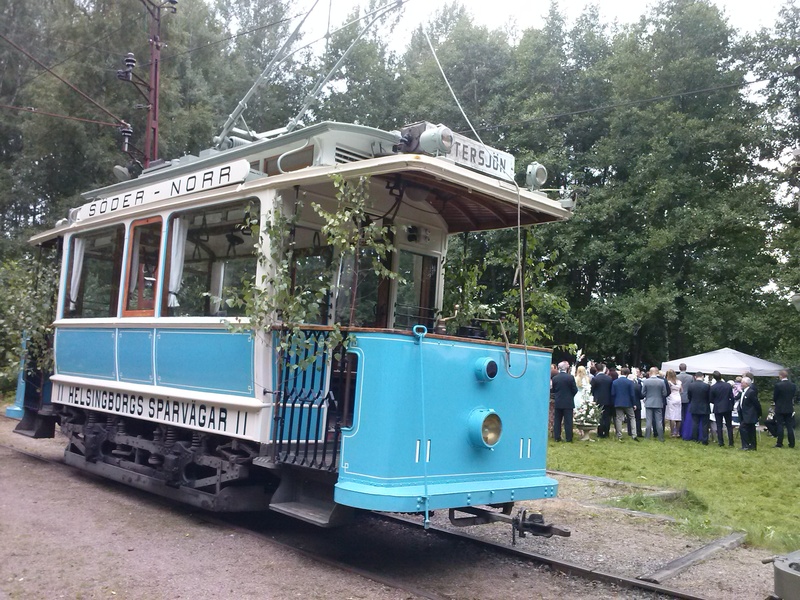 Why have a car when you can go by tram to your ceremony? My sister and our friend Katarina.